Images of cupped soybean fields have come to symbolize the dicamba injury crisis underway in farm country in the U.S. But what happens when chemicals like dicamba move beyond the soybean fields of commercial farmers onto the property of rural homeowners, business owners and organic and specialty crop farmers? In South Dakota, a vegetable farm that was destroyed by dicamba in a matter of weeks last year was hit again this June by another cocktail of herbicides, including dicamba. An elderly Illinois homeowner has watched her carefully landscaped yard wither for two years in a row from dicamba injury. A resort owner in Tennessee is fighting to save his gardens, plants, trees and a nearby historic state park after the second consecutive year of dicamba damage. Over the course of two months, DTN conducted dozens of interviews on non-soybean dicamba injury and found that injured property owners like these face an uphill battle to justice. State departments of forestry, natural resources and agriculture pass responsibility for non-soybean dicamba injury back and forth between each other, like a hot potato. State regulators are struggling to keep up with the pace of complaints, leading to long delays and unresolved investigations. Even state investigations that find a pesticide applicator at fault can only fine the applicator — not compensate the victim. Laboratories are still learning how to test for dicamba residue effectively, and at what levels. Unless an applicator was flagrantly off label, insurance companies maintain that they are not responsible when dicamba volatilizes and moves off-target. The companies who manufacture the new dicamba herbicides insist that volatility is rare and dicamba injury unusual. At the end of the day, most of the property owners interviewed face serious financial losses that they will never recover. 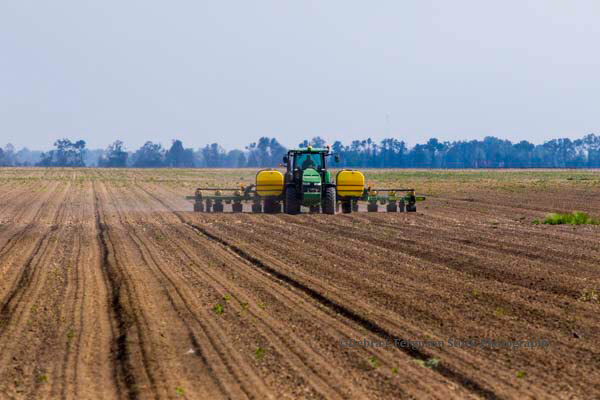 Some wonder if they will ever be able to grow vegetables or trees in their patch of countryside again if dicamba-tolerant soybean acres and their accompanying dicamba use continues to swell. The situation is likely to affect the future registration of the new dicamba herbicides, which are under review by EPA. 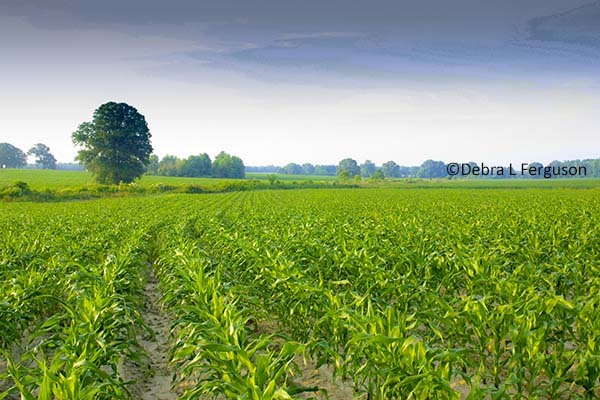 The agency is watching the situation closely, an EPA spokesperson told DTN. In Aurora, South Dakota, John Seward runs Little Shire Farm, a farm that grows 415 varieties of vegetables. The farm sells Community Supported Agriculture (CSA) shares, wherein a customer pays a set amount each season and receives weekly deliveries of vegetables. Starting in early August last year, Seward noticed his eggplants looked odd. Then the sunflowers and tomato plants started to curl and wilt. Lettuce crinkled up, and sweet pea pods became deformed and inedible. Samples taken by the South Dakota Department of Agriculture confirmed that his vegetables had been hit by dicamba. Seward estimates he lost more than $11,000 in unharvested crops, destroyed seed, and lost fall and winter CSA crop shares. Seward joined a class-action lawsuit against the dicamba manufacturers last year, but has no expectation of ever recovering his losses. “These lawsuits will drag on for years, and there’s no guarantee they’ll result in anything,” he said. This year, buoyed by seed and monetary donations from the community, Seward replanted his usual mix of vegetables. By mid-June, the crops started to show signs of chemical damage, once again. Tests run by the South Dakota Department of Agriculture came back positive for a cocktail of dicamba, atrazine, 2,4-D, metolachlor and glyphosate. 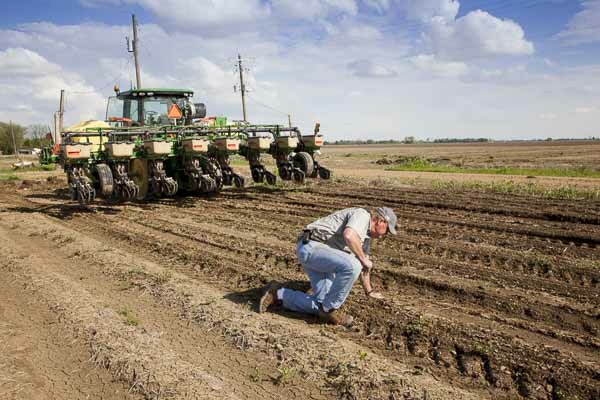 Seward’s experience is an increasingly common one in soybean-producing states, where 40 million acres of dicamba-tolerant soybeans have been planted this year, university weed scientists told DTN. There is no mandatory reporting system in place for all non-soybean dicamba injury, but at least 10 states in the Midwest, South and West have reported official dicamba injury complaints to non-soybean acres to the Association of American Pesticide Control Officials (AAPCO). Missouri, for example, is reporting dicamba injury to hundreds of acres of peaches, watermelons, grapes, berries, alfalfa, residential trees, fruit trees, personal and commercial gardens, shrubs, flowers and greenhouse vegetables. In one way, Seward is fortunate to be able to monetize most of his losses, noted Johnson. 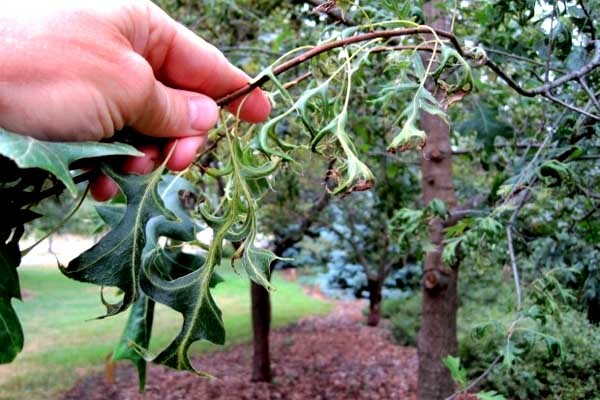 Damage to other plants, such as trees or ornamentals, aren’t as easily measured. The Illinois homeowner, who spoke on the condition of anonymity to protect her from reprisals in her community, has suffered severe damage to a wide variety of trees — oak, Bradford pear, blue spruces and catalpas — as well as ornamental plants, shrubs and a vegetable garden. She sent samples to a private laboratory last year, which found dicamba in them. Between lab testing, dead branch and tree removals, and rescue fertilizer and soil conditioning treatments, she and her husband have spent $10,000 already, she said. In Tennessee, Mike Hayes runs the Blue Bank Resort on the shores of Reelfoot Lake, a natural wonder formed when a series of massive earthquakes struck at the New Madrid Fault between 1911 and 1912 and temporarily forced the Mississippi River to flow backwards, filling this 15,000-acre lake. For the past three years, Hayes has spent half-a-million dollars turning his hunting and fishing outfitter business on the lake into a polished, professional resort. Last year, Hayes experienced wave after wave of dicamba exposure. It wiped out the resort’s garden — which supplies the on-site restaurant — three times before Hayes gave up. He estimates it killed 20% of the young trees he planted, mostly crape myrtles and conifers, as well as a butterfly garden he built as an added attraction. This year, he estimates he has been hit eight separate times by dicamba. He expects five cypress trees to die this year and worries about the birds that nest in the lake region, namely ospreys and bald eagles. Nearby, the Reelfoot Lake State Park has experienced two years of similar damage to its cypress trees, many of which grow within the lake itself after they were flooded more than a century ago. Since the trees can’t sprout at the current lake depths, replacements aren’t an option, Hayes noted. “Once they die, those trees can’t grow back,” he said. The Tennessee Department of Agriculture sampled both Hayes’ property and the state park’s and produced positive dicamba tests last year. But Hayes will receive no compensation from the state investigation, and neither he nor the state regulators have determined exactly where the dicamba came from. 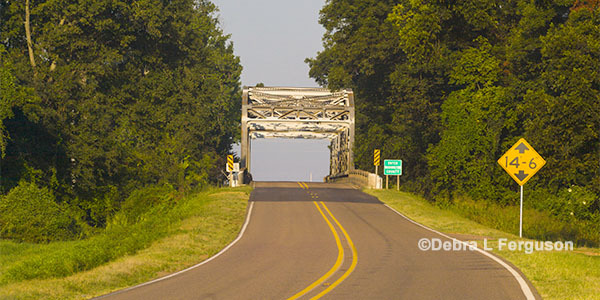 The Blue Bank Resort and state park are surrounded by fertile Mississippi Delta bottomlands, where thousands of acres of soybeans are planted regularly. Dicamba damage can take anywhere from 10 days to a month to show up, which makes for a murky timeline, Hayes noted. “And the big problem is that it could have come from anywhere, so how do you prove where the damage came when there are eight different farms using it around you?” he said. Chemical trespass has always been a problem for professional nurseries, even when tree death doesn’t occur, added Becky Thomas, co-owner of Spring Grove Nursery in northern Illinois. Three years ago, Thomas’s 90-acre nursery was hit by 2,4-D, a herbicide in the same chemical class as dicamba. Only a handful of trees died, but the damage set her business back years. “It’s a multiple-year crop,” she explained. “We plant and don’t harvest until five to six years later. 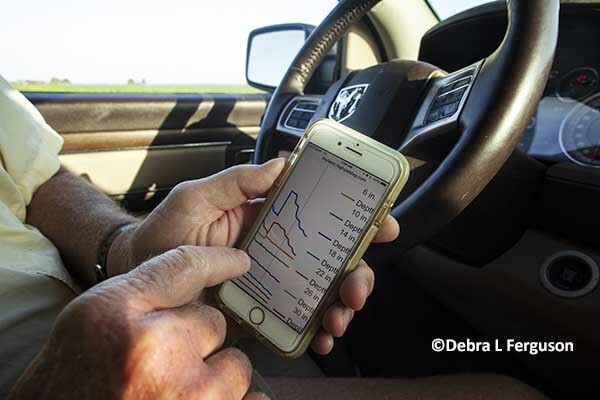 Depending on species of tree, I lost one to two years of growth across all 90 acres.” This dynamic baffled her neighbor’s liability insurer, and Thomas finally had to reach out to a Texas A&M horticultural economist to quantify her losses. After a year and a half of bitter, exhausting legal battles, Thomas eventually settled with the insurer for an amount that covered only a quarter of her losses. And the applicator, who was found guilty of breaking pesticide regulations by the state of Illinois? Nearly every property owner DTN interviewed stressed the emotional toll chemical trespass had taken on them. The Illinois homeowner said watching the plants and trees she has cultivated for decades slowly die has sunk her into a depression. Just as painful has been the sense of betrayal she feels from neighboring farmers responsible for the damage. Since filing his complaint with the state, Seward’s relationship with his neighbor has deteriorated. Friendly neighborly gestures have vanished and in their place are hostile text messages and mocking signs posted near his property boundaries. He is furious with every level of the agricultural industry that he believes allowed this situation to unfold. Although the ag industry has used and studied dicamba for decades, there is a lot we don’t know about how the herbicide affects trees and vegetation, said Johnson. State laboratories are dealing with an overwhelming number of dicamba injury samples, said David Scott, pesticide program manager for the Office of Indiana State Chemist. Last year, the Indiana state lab processed 2,577 herbicide-injury samples, more than four times its normal amount. There is no uniform methodology in place across laboratories to test for dicamba residue and no official guidance on what levels of exposure to test for, Scott added. That means positive dicamba tests will vary from lab to lab, depending on the screening method used, the detection level used, other chemicals tested for within the sample and the analyst’s experience. Even the type of equipment used during the dicamba application in the field can affect what sort of residue results a laboratory will find, Scott said. 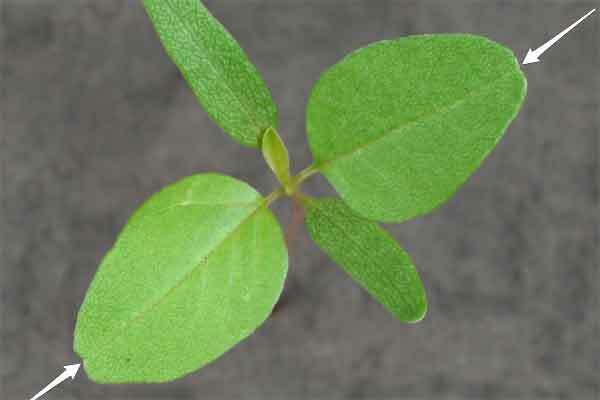 Although last year gave the Indiana state lab a good crash course in how to test soybean leaves for dicamba residue, they don’t have much experience yet with trees and other vegetation, he added. Scientists from the Universities of Missouri and Georgia have done field trials in recent years testing the sensitivity of numerous tree, vegetable and fruit species to varying amounts dicamba and 2,4-D — but the research is new and still mostly un-replicated. The University of Missouri is compiling biweekly surveys from state weed scientists on estimated soybean acreage injured by dicamba, but no such estimates exist for non-soybean vegetation. Moreover, as more soybeans are planted with the dicamba-tolerant trait each year, the number of dicamba-injured soybeans will likely drop, Thomas noted. “I feel like the complaints for soybean acres might be down, which might lead state regulators to believe this is not a problem,” she said. The Association of American Pesticide Control Officials (AAPCO) is doing weekly surveys for official reports of dicamba injury, including non-soybean, but state responses are voluntary and often inconsistent — some report acreage numbers, others only the number of complaints. Most importantly, the AAPCO numbers only present official complaints logged with state agriculture departments — which rarely give a full picture of damage, Johnson said. Many cases of dicamba injury go unreported due to the hassle of a state investigation and the fact that it does not result in any compensation for the victim, he said. He estimates that fewer than 20% of dicamba injury cases were actually reported in Indiana last year. Nor do state departments outside of agriculture seem keen to take responsibility for herbicide-damaged trees and plants. University of Missouri foresters direct all inquiries about dicamba-damaged trees to the state’s department of agriculture and do no tracking of it themselves, said Hank Stelzer, a University of Missouri Extension forester. 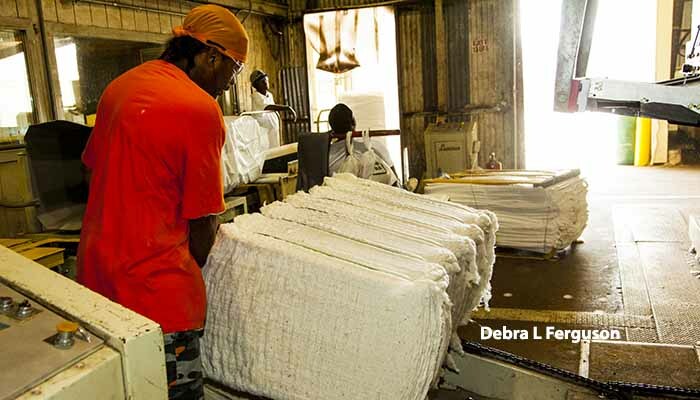 Likewise, in Arkansas, inquiries to the forestry department and forestry industry groups about dicamba-injured trees were redirected to the state’s agriculture department. Various state agencies, such as the Tennessee Department of Agriculture and the Tennessee Wildlife Resources Agency (TWRA), have passed full responsibility for the damage investigation into Reelfoot Lake State Park back and forth for two years now, said Hayes. After TWRA insisted it was not the agency in charge of the lake, Hayes had to step in this year and ferry state agriculture agents out onto the lake in his private boat to examine suspected dicamba injury to the lake’s cypress trees and lily pads. Hayes worries that this lack of clear authority has given farmers in his state no real incentive to keep dicamba from moving beyond soybean fields. Corrigan said she has been discouraged by the lack of accountability for dicamba injury in the agricultural industry. 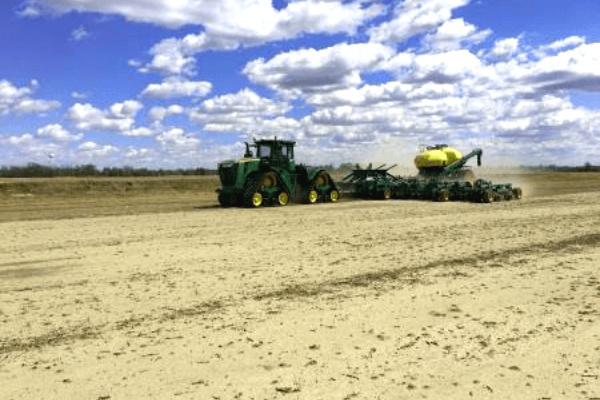 Don Rone, a member of the Missouri House of Representatives representing the state’s southeast corner, understands why farmers chose to plant 40 million acres of Xtend soybeans in 2018 — and spray them. A former farmer himself, Rone has seen how well the new dicamba herbicides — Monsanto’s XtendiMax, BASF’s Engenia and DuPont’s FeXapan — can clean up soybean fields infested with herbicide-resistant weeds like Palmer amaranth and waterhemp. The new dicamba herbicides were designed to have less volatility — the ability of a chemical to turn into a gas — than older formulations. However, university scientists have confirmed that the compounds do still have the ability to volatilize, particularly in hot conditions. Last year, in field trials, the University of Missouri found that dicamba remained in the air for up to 96 hours after most applications. Monsanto has continually denied that volatility is playing a significant role in off-target dicamba injury and has downplayed dicamba injury reports. During a media call, Monsanto representative Ty Witten told DTN that complaints about dicamba injury to non-soybean acres were “really kind of random across the area” this year and sometimes proved to be another type of problem altogether. “We have been on a few non-agricultural crops that have called in, and we really appreciate some of those callers call in,” Witten said. 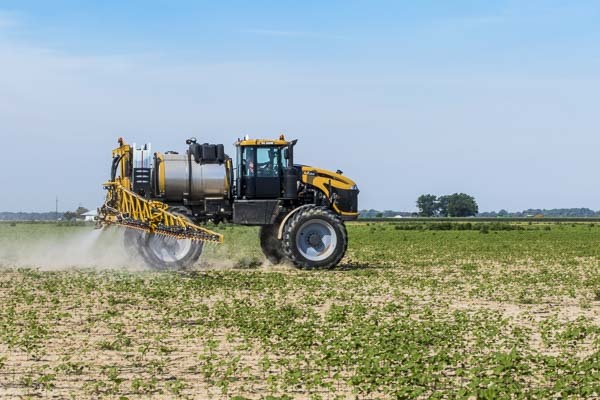 By refusing to address the off-target dicamba non-soybean damage in a serious way, many farmers and company representatives are jeopardizing the very tool they are fighting so hard to keep, Hager said. If the companies can’t redesign the current dicamba formulations to stay where they are applied, he foresees a future with an even more restrictive label or an outright ban on dicamba use in row crops. Either way, soybean growers will lose out in their battle against herbicide-resistant weeds, he added. Meanwhile, in Illinois, Thomas is heading into a hot July spray season like a soldier arming for battle. But she also wonders if any of it will help. “We have actively wondered if we wanted to continue in this business if it is going to involve this kind of risk we have no control over,” she said. Seward said he and his wife are seriously reconsidering their dream of farming in the Midwest. “We are pretty resilient, but there comes a time when the ‘dream’ is just a ‘dream,'” he said.